Very Good. 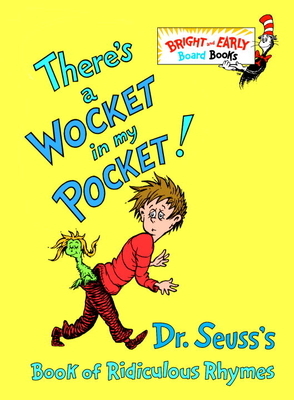 There's a Wocket in My Pocket! : Dr. Seuss's Book of Ridiculous Rhymes (Bright & Early Board Books) by Dr Seuss. Glued binding. Paper over boards. 24 p. Contains: Illustrations. Bright & Early Board Books. Intended for a juvenile audience.